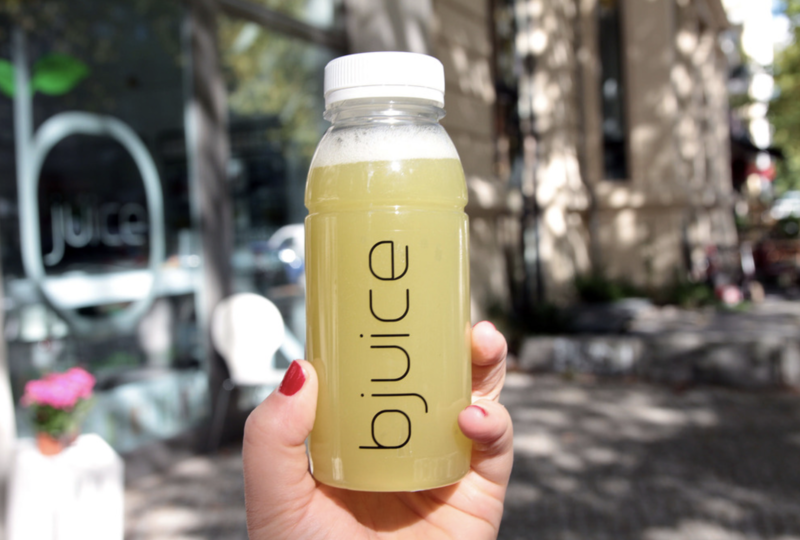 If you find yourself in Berlin make sure you visit bJuice. 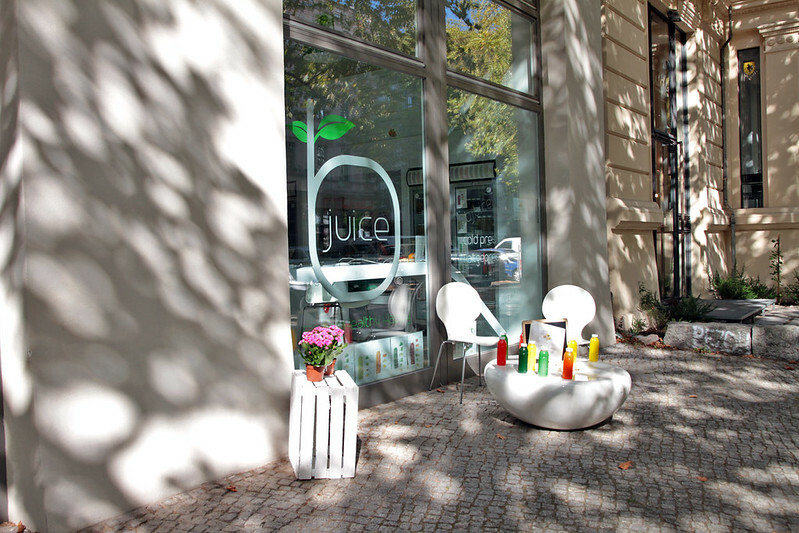 Not only is it good to support small businesses on your travels but this places serves up the best fresh juice in Berlin. Everything is dairy free and they often have various snack bars available too. The founders are so friendly and are always happy to help advise you with the right juice for you. We always try to visit a couple of times whenever we’re in Berlin. The shop is nestled in Kollwitzstraße which is a very pretty area of Berlin. It’s across the road from the Matcha Shop which offers lots of dairy free and vegan matcha treats, you can read about it here. The bJuice shop is very chic. It has a fresh and clean feeling when you step inside. The big windows let in lots of light which compliments the brilliant white walls and wooden boxes stacked with fruit. As I mentioned before, the staff are very friendly and you’ll always be greeted with a smile. 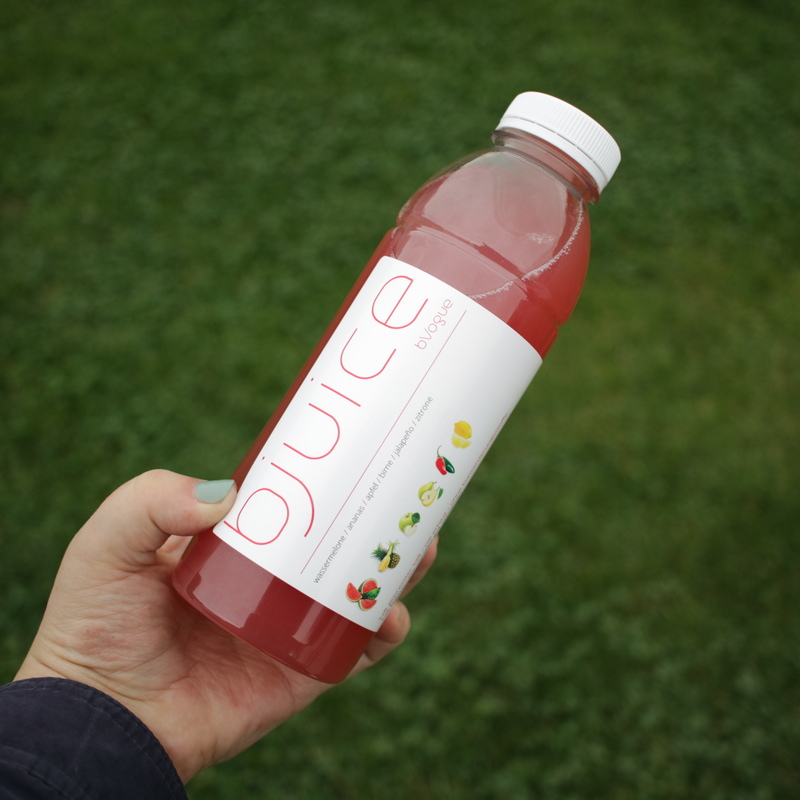 All juice is made in-house and their flavour combinations are on point. The fridge is stocked with their fresh juice each day and I highly recommend trying one of their lemon and ginger shots – just ask at the counter (which is styled like a bar). 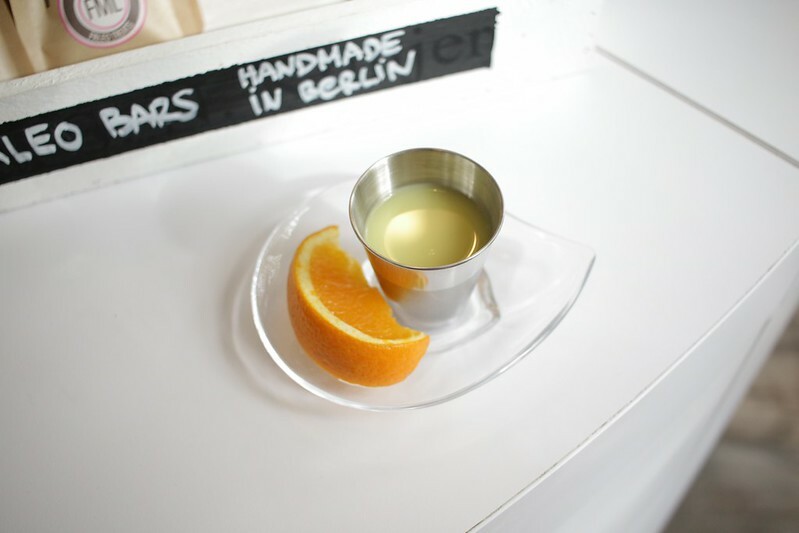 If I go back to Berlin again I’ll be making my way to bJuice for fresh juice and a positive start to my days.